The forum software has been upgraded to the latest version of vBulletin 4. The upgraded forum software offers several bug fixes, security improvements, updates to existing features, new features, and better compatibility with the latest generation of web browsers. Social Groups (AKA Groups) has received several updates. To access the groups area, click on the "Groups" link on the secondary navigation bar of the forum index. That will present you with a GUI interface to your groups, the most recently updated groups, and newly created groups. As for individual groups, instead of having what is essentially one long thread, Social Groups will behave more like individual forums. Members will be able to create new group threads and post pictures. Group leaders will have the ability to moderate these threads. This might seem like a mundane detail, but PSO-World has a new search interface that provides faster and better search results. You will now finally have the ability to search your private messages! You can access the "Activity Stream" by clicking on "What's New" on the navigation bar. The Activity Stream offers a new way to keep track of the latest forum content including group discussion, news articles, forum posts, and several other content types. The Activity Stream offers several secondary navigation bar links if you want to browse a specific type of content. PSO-World has added 25 avatars to the Phantasy Star Online 2 category. You can use these new forum avatars by going to your User Control Panel and clicking on "Edit Avatar." 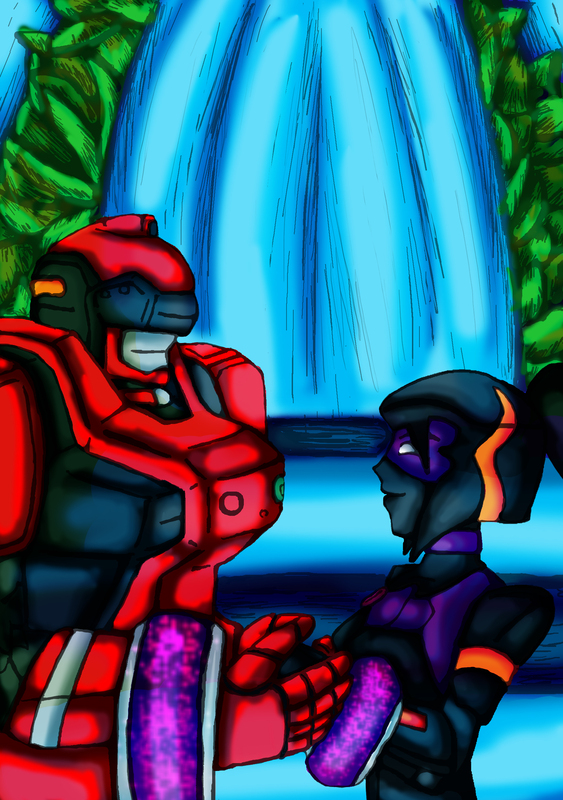 Credit goes to Kayarine for submitting these avatars. PSO-World has added 30+ avatars to the new Phantasy Star Online 2 category. To see preview pictures of the new avatars, check out this forum thread. You can use these new forum avatars by going to your User CP and clicking on "Edit Avatar." PSO-World would like to thank everyone that submitted an entry and voted. The entries were extremely outstanding. You helped to make this a successful contest. You can post your thoughts about the contest by posting in this thread. The voting galleries for the Phantasy Star Online 10th Anniversary Fan Memorial Illustration and Literary contests are now open! Be sure to visit each contest gallery and vote for your favorite entry. The winners in each category will be eligible to receive some awesome prizes. The voting galleries will remain open until January 1, 2012. PSO-World would like to thank everyone that submitted entries. Good luck to all of the participants! As a brief reminder, the deadline for PSO-World's 10th Anniversary Fan Memorial Contest is December 21st. 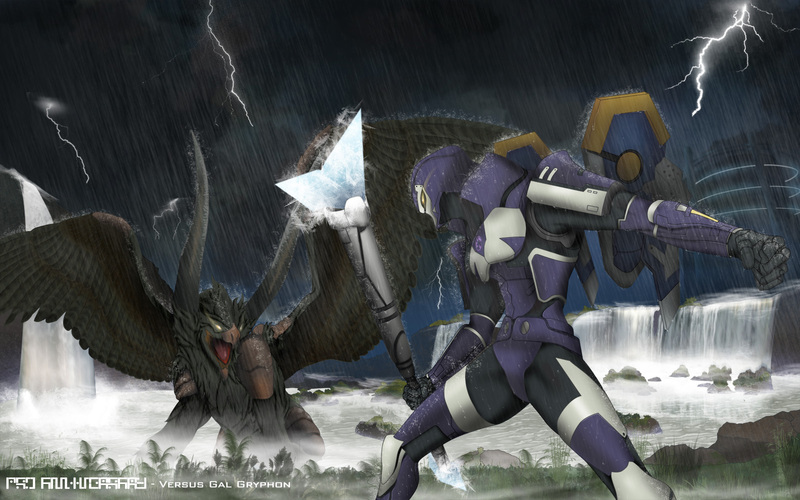 In this Fan Art and Fan Fiction contest, you are asked to remember and share the most memorable moment you had while playing any iteration of Phantasy Star Online. The contest winners will be eligible to receive some fantastic Phantasy Star Online prizes including artbooks, model kits, t-shirts, and Rappy armbands! Be sure to check out the contest thread for submission information. 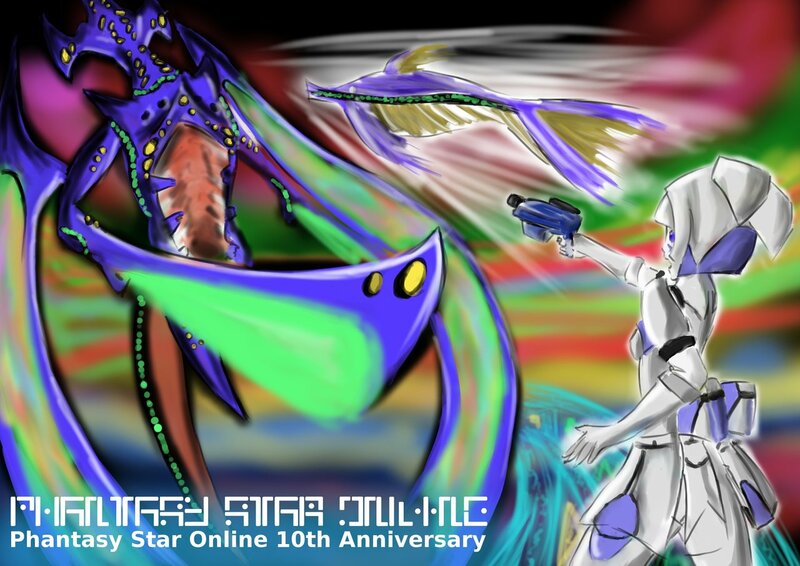 PSO-World is pleased to announce the start of its Phantasy Star Online 10th Fan Memorial Contest! 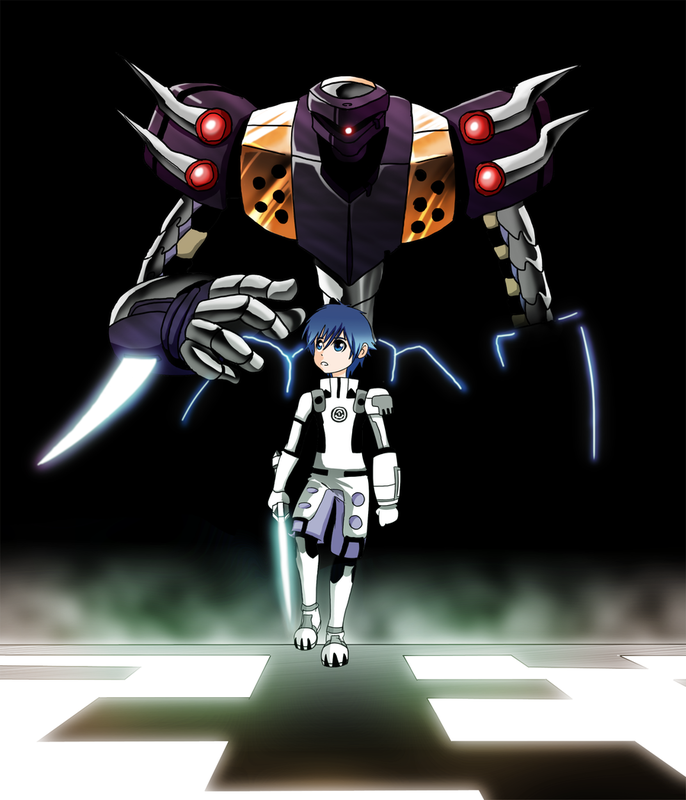 In this Fan Art and Fan Fiction contest, you are asked to remember and share the most memorable moment you had while playing any iteration of Phantasy Star Online. The submission deadline for the contest is December 21st. PSO-World users will have then have the opportunity to vote for their favorite entries. In addition, a panel of judges will select a set of winners for each category. The contest winners will be eligible to receive some fantastic Phantasy Star Online prizes including artbooks, model kits, t-shirts, and Rappy armbands! For additional details, be sure to check out the contest thread. 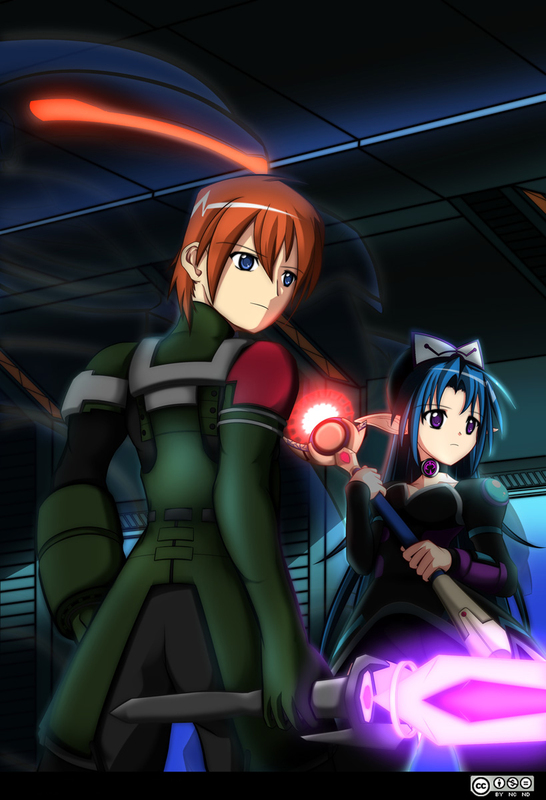 PSO-World's Phantasy Star Podcast: Episode 4 Released! 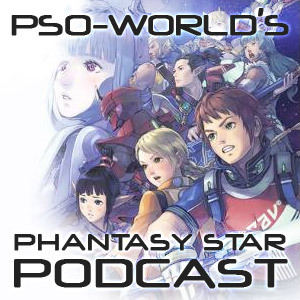 It has been a while, but Episode 4 of PSO-World's Phantasy Star Podcast is now available! This episode is hosted by Dragwind, EspioKaos, S-T-H, and Mike. Discussion topics include the latest updates for the Japanese version of Phantasy Star Portable 2 Infinity, Phantasy Star Universe updates for the Japanese and Xbox 360 servers, the latest Phantasy Star Online 2 news, and other SEGA-related news. The podcast is 72 minutes along and 66 MB in size. You can download the podcast here or play it using the flash player below. 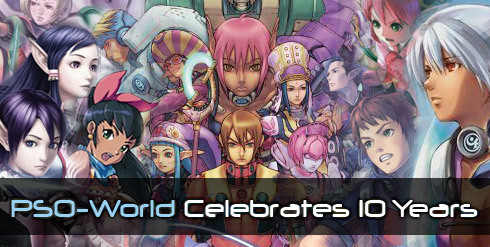 PSO-World Celebrates 10 Years of Phantasy Star Coverage! Back in January of 2001, PSO-World was created with the vision that it would not only serve the entire Phantasy Star community, but be run by the community as well. Ten years later, the site is still here doing what it was meant to do from the day its virtual doors were first opened, thanks to the hard work and dedication of many different people who have helped carry the torch over the last decade. A lot of things can happen over ten years. People come and go, web sites appear and disappear, and a TON of games get released. We've been fortunate enough to see many Phantasy Star games over the last ten years, and even more fortunate that PSO-World and its outstanding community have been here for the entire ride. With this milestone behind us, we enter a new era for PSO-World and its community. We have a lot to look forward to in the future of Phantasy Star and the site. Phantasy Star Online 2 is on the horizon and a steady stream of other titles has given us plenty to work on. It's time for us to take things to the next level once again, to better serve the fans that have continued to support us for all of these years. With that said, 2011 will not only mark the 10th anniversary of PSO-World's existence, but also an evolution of the site as you know it! It is going to be a great year, and we'll be looking for more people who want to be a part of it. For the rest of the details, though, you'll just have wait and see! On behalf of PSO-World, thank you to all of the visitors, contributors, members, staffers, and everyone else who has supported the site in one way or another over the last ten years. Your patronage is what kept this site alive for this long and what will keep it going into the foreseeable future. We'll be celebrating this momentous occasion all year, so stay tuned for some announcements regarding contests, prizes, and more!